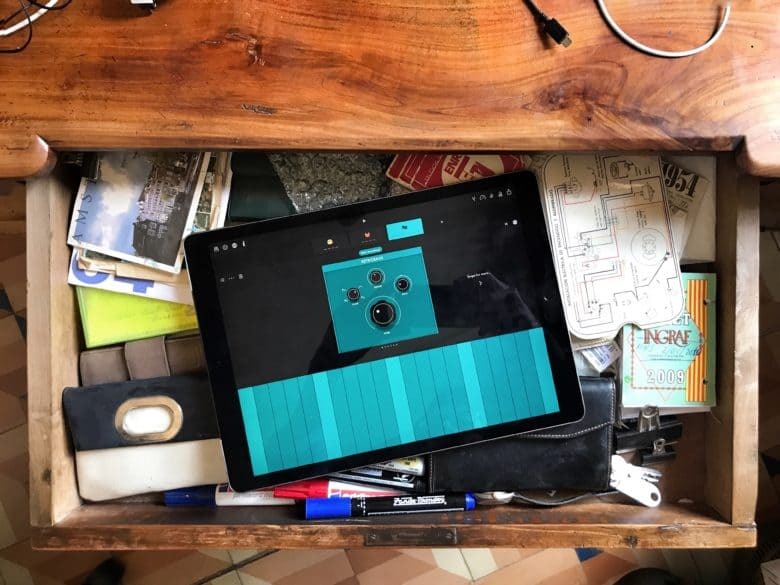 Novation, the developer of Groovebox, also makes Launchpad and Blocs Wave, two other amazing iOS music-creation apps. 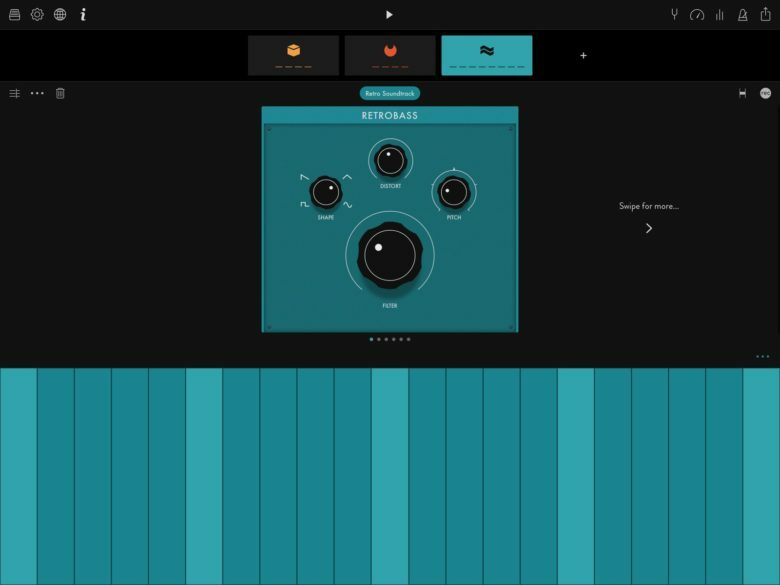 Like those apps, Groovebox is all about making little loops and stacking them together to create tracks. The difference is that Groovebox lets you create your own bass lines, melodies and beats. Launchpad is about arrangement and performance, while Blocs Wave (which I use a ton) is good for sampling and chopping up your own loops, then combining them with premade samples. When you launch Groovebox you see three instruments — a bass synth, a poly synth and a drum machine. Each of these can be expanded with its own in-app purchase, but you can get started for free. Just hit Play to kick things off, then start exploring. The Groovebox music app looks rad (and sounds even better). Each instrument comes with several presets (sounds), as well as a bunch of premade loops (or melodies). You can choose one of these built-in melodies, then start exploring the different sounds. You can also clear the preset melody patterns and create your own, just by tapping Record and using the on-screen keyboard (or drum pads). However you create your melody, you can apply different preset sounds to it on the fly, auditioning them as you listen. This combination of sounds and patterns proves simple yet powerful, allowing you to, well, to groove. Speaking of professionals, getting your music out of the app is easy. You can share your groove as a mix, or send the separate tracks out to work on in another app. I had no problem exporting an entire project’s worth of tracks using the Ableton Live export (which zips everything up into an easily imported package), and poring them in BeatMaker 3. Cubasis also shows up in the export list, but GarageBand isn’t available as a destination. Oddly, you can’t take these files directly to Launchpad or Blocs Wave. You can, however, export a project to the magnificent AudioShare, and use that to send them on to Blocs Wave. If you have any interest in making music at all, you should grab Groovebox right now. It’s free, after all. Just don’t do it if you have anything important to do for the next few days, because it’s likely that you’ll get hooked, deep.